The Pendleton Planning Commission will strive for quality long-term growth by emphasizing social, environmental, and economic opportunities while creating a town of the future with a new attitude. The Pendleton Planning Commission will foster the positive development of Pendleton by involving citizens in planning for their town’s future, convey the community’s progressive vision, promote quality of life and a healthy environment, manage town growth, and help town government design its programs and operations to be consistent with the comprehensive plan. All scheduled Planning Commission meetings will be held the second Thursday of every month, 6:00PM at Town Hall, 310 Greenville Street, Pendleton, South Carolina 29670 in Council Chambers, unless otherwise posted. Special meetings may be called by the Chairman of the Planning Commission and will be posted at Town Hall at least 24 hours prior to the meeting. The forms below are Adobe PDF Files. Selecting a file will download the document to your computer if you have Adobe Acrobat installed. The purpose of the Design Review Board is to review the design and development standards within the Town of Pendleton’s overlay districts, in order to foster high-quality, attractive, and sustainable development that is compatible with the Town’s existing character. 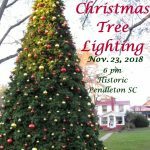 The Design Review Board shall act to protect and enhance the character and quality of the community’s development while maintaining and strengthening a recognizable identity and character that is unique to the Town of Pendleton. The Design Review Board shall not require the replication of the existing built form, or a certain stylistic result, but shall allow imaginative design that is respectful of its neighborhood. The Board of Zoning Appeals is composed of five (5) members. This Board hears and decides appeals where it is alleged there is error in any order, requirement, decision, or determination made by the Zoning Administrator in the Enforcement of the Zoning Ordinance. The Board is also authorized to determine whether variances from the Zoning Ordinance shall be granted in cases of unnecessary hardship due to the size, shape, or topography of a parcel of land. The Town of Pendleton Board of Zoning Appeals will meet quarterly on the first Thursday at 6:00 pm in the Council Chambers at Town Hall, unless otherwise posted. If there is no new business before the Board, the Board may not choose to hold the meeting. Please call Town Hall at 864-646-9409 for more information. Regular meetings will not have additional notice, but notice of public hearings will be provided in the Anderson Independent Newspaper, stating the time and place of the public meeting. Notice will be advertised no earlier than thirty (30) days before the date of the meeting, and not later than fifteen (15) days before the date of meeting. All meetings will begin at 6:00 pm.